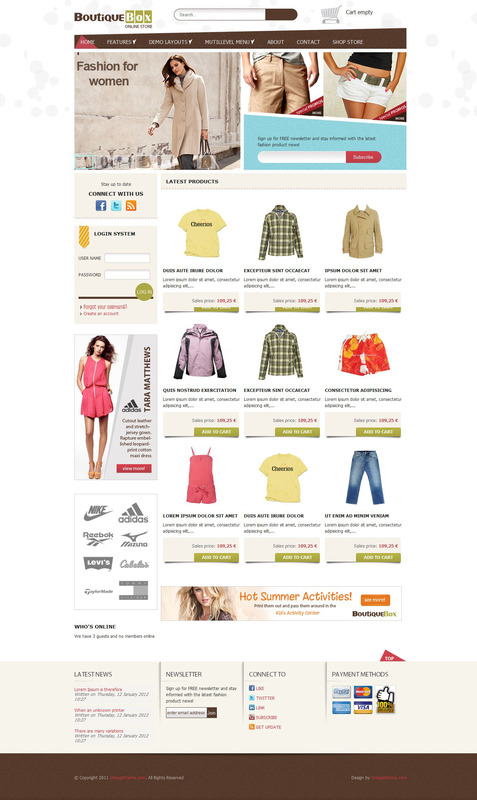 Template OT Bontique Box is specially designed for easy display of products with the ability to order online through the use of the most popular e-commerce component VirtueMart. Template presented in bright colors, is fast loading and the ability to adjust the width of columns layout. Fully compatible with Joomla 1.5. Template made in 3 color styles, has 15 module positions, a good seo-optimization and is fully compatible with the components VirtueMart and K2.